A Primo Grill Lifter is an indispensable accessory for your Primo grill. The Primo Grill Lifter is designed specifically to easily remove cooking grates and racks on all Primo grills efficiently, quickly and safely. A Primo Ash Tool is a ‘must have’ tool to easily clean out ashes from your grill. The Primo Ash Tool is specifically designed to clean out all the ashes from the bottom vent door of your Primo grill. The Primo Ash Tool can also be used for stirring hot Primo Lump Charcoal in the bottom of the fire box and helping to maintain the cooking efficiency of your grill. The heavy cast iron Primo Firebox Divider for Oval XL allows you to split the grill fire box area to create two distinct cooking zones for simultaneous direct and indirect cooking. The heavy cast iron Primo Firebox Divider for Oval Jr allows you to split the grill fire box area to create two distinct cooking zones for simultaneous direct and indirect cooking. Also, conserve the amount of natural Primo Lump Charcoal used for smaller cooks. Using a Primo Extended Cooking Rack for Oval Jr you can greatly increase your cooking area. Alone a Primo Extended Cooking Rack for Oval Jr adds over 30% more cooking area and with two Primo Extended Cooking Rack for Oval Jr it adds over 60%. Primo Heat Deflector Plates for Oval Jr are used primarily for roasting, smoking and slow cooking specifically in a Primo Oval Jr grill. Tried and true, CUTEK CD50 is the original formulation wood coating that has been protecting timber worldwide for decades. Using unique stabilising technology, CUTEK CD50 protects timber from the inside out. Ideal for all products from the DIY deck at home to internationally renowned architectural projects and everything in between. 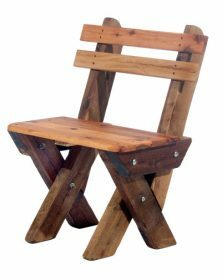 Part of the Solid Timber Man range, a Single Seat Slat Back Cypress Outdoor Timber Bench seats one comfortably. This chunky little bench is perfect for outdoors. This Solid Timber Man Cypress bench will be a great addition to your patio, balcony or outdoor entertainment space. 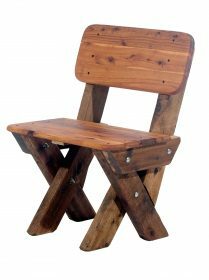 Single Seat High Back Cypress Outdoor Timber Bench are perfect for any small space, or in multiples they accent a larger area.